Diane Revie has studied with many renowned teachers in ballet history, including Tatiana Riabouchinska, Irina Baronova, Michel Panaieff and Andrei Tremaine from the Ballet Russe and El Gabriel, co-founder of the Performing Arts Center in Israel. Beginning dance at the age of 3, Diane studied at the Wells-Scott Conservatory of Music and Dance in the small town of Bellflower, California. Throughout her career, she has danced for countless organizations, including performances with a USO troop touring Southern California for 5 years. Her outreach programs to nursing homes and retirement homes have continued for her 50 years of teaching. 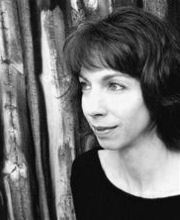 Diane has choreographed several full-length ballets and many other works and solos. Many of her students have advanced to professional careers with major dance companies such as American Ballet Theatre, San Francisco Ballet, Joffrey Ballet, Joffrey II, Pennsylvania Ballet, Royal Canadian Ballet, Alaska Dance Theatre and more. A Grand Junction native, Lindy Bryan started dancing at the age of 16. Lindy has studied ballet, jazz, tap and modern with Marsha Portelance and Ann Sanders, and now studies ballet and tap with Miss Diane. She was a part of a dance company called "Dance Visions" which competed and won awards in Denver and Las Vegas. Her dancing husband, Micky, was also a member of this group. 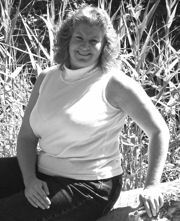 Her warm and gentle personality is perfect for young children as she currently teaches creative movement. Lindy is the head teacher of the preschool, Montessori of Grand Junction. 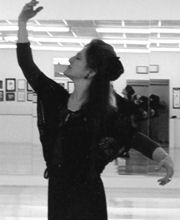 She enjoys ballroom dancing with her husband and spending time with their daughters, Rebecca and Erica, both of whom are students at the studio. "I love working with the preschool age. They're filled with wonder and honesty, and are full of energy. They keep me on my toes!!!" and Texas working also in California, Oregon, and Tennessee. to be a part of the organization. John's career path began as a professional consulting engineer with Hemisphere Engineering Company in Canada, where he practiced as a licensed professional engineer from 1978 through 1984. After graduating in 1978 from the University of Alberta, John began to take evening jazz and ballet dance classes as a recreational pastime. In 1984, John felt a call to leave engineering and accept an invitation to personally train under Mr. Lambros Lambrou; former soloist with the Royal Ballet in England and past artistic director of the Austin Ballet Company in Texas. John advanced rapidly as an up-and-coming ballet artist, soon receiving contracts with the Spokane Ballet Company in Washington and the Formolo Dance Ensemble in Canada, dancing both contemporary and classical roles. John's forte, however, was pas de duex, where his abilities as a dancer shone most brightly. In 1986, he was signed to perform the Adam and Eve pas de duex at the World Expo in Vancouver, Canada, where he performed the role almost 500 times. In 1987, John joined Ballet Magnificat, moving his family of five (at the time) from western Canada to Jackson, Mississippi. In his 30 years with Ballet Magnificat, he danced some 3000 performances in over 20 countries. He is best remembered, in his 33 years as a professional dance artist, for his long time role as pas de duex partner of Kathy Thibodeaux, performing alongside of her in thousands of performances all over the world. Kathy Thibodeaux is the artistic director of Ballet Magnificat and silver medalist of the 1982 International Ballet Competition. John and his wife Karin have one daughter, six sons, and five grandchildren. In addition to his dance responsibilities with Ballet Magnificat, he also served as Company Minister, Personnel Director, and part time bus mechanic. He retired in May of 2017 and now resides in Grand Junction, Colorado. 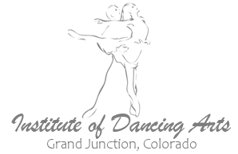 A native of Tonawanda, NY, Valerie Madonia began her dance training under Maris Battaglia at the American Academy of Ballet. At age 14, she entered the National Ballet School of Canada and became a member of the National Ballet upon graduation. At the invitation of Mikhail Baryshnikov, she joined the American Ballet Theatre, where she danced soloist roles. Five years later, she established herself as a leading ballerina with the Joffrey Ballet, where she received critical acclaim in many of Artistic Director, Gerald Arpino's signature works, and danced for 10 years. Valerie has had the honor of dancing with Alonzo King's Lines Ballet, Armitage Gone! Dance, Baryshnikov and Co., Complexions Dance, Inc., Lemon Sponge Cake Contemporary Ballet and at La Gala des Etoiles in Montreal and Greece. She has appeared in 4 PBS "Dance in America" specials and is featured in the book, "Classical Ballet Technique" by G. W. Warren. She is a teacher on faculty for the Joffrey Ballet School and the New School University in NYC, an annual master teacher at the Yokohama International Dance Intensive in Japan, the Artistic Director of Dance Mosaics, and the Artistic Consultant for Dance! Telluride.